Deeply steeped in an 8,000 year old wine tradition that stretches back thousands of years before any viticulture was established throughout Europe, Georgia remains the cradle of grape growing and winemaking in a style and tradition all its own. 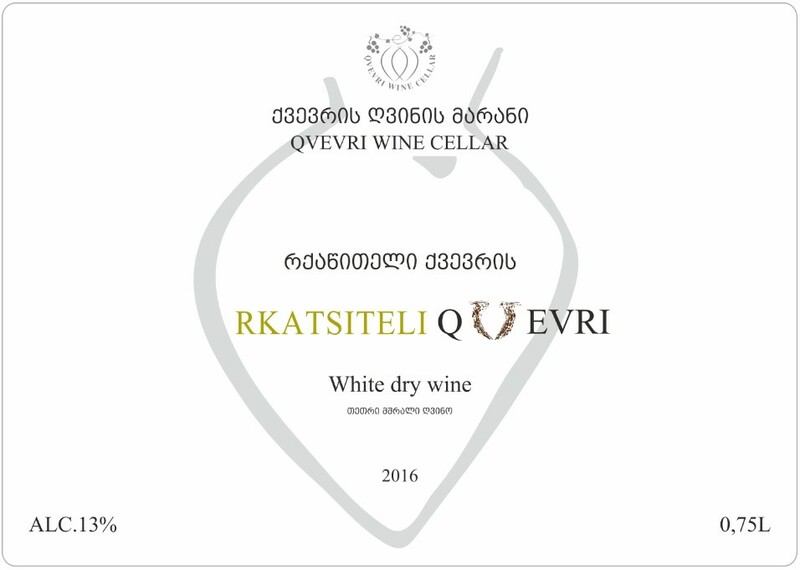 Established in 2015 by third generation winemaker Ivan Nareklishvili, Qvevri Wine Cellar specializes in the local grape varieties and age old methods of Georgia. With a modern winemaker’s eye for quality control and the steady hand of minimal intervention, Nareklishvili is unique for his ability to finesse a natural ferment to reveal the best of native yeasts and traditional techniques without risking errant slips or spoilage. 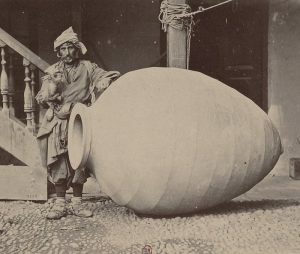 Crafting their wines from organic grapes in terracotta qvevri, the classic amphora of Georgia, Nareklishvili finishes their “orange wines” as clean and healthy ferments which, tasting across Georgia, prove a tall task when musts are left for many months of skin-contact. 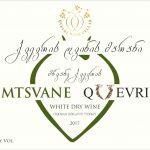 Tasting at Qvevri Wine Cellar reveals what high quality wines can be made using native yeasts and ancient winemaking; wines with presence and texture, ripe fruit and a mineral expression unique to Georgia. A pure and natural “orange” wine of rich depth and character as only skin contact can achieve. 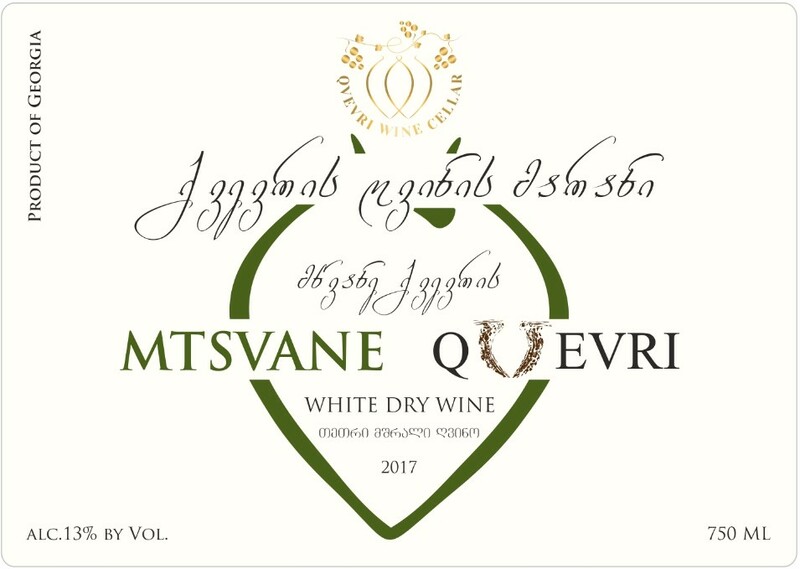 Mtsvane Qvevri is made from the local “Kakhuri Mtsvane” variety which translates to the “Green from Kakheti” and has been cultivated in the mountainous Kakheti region in the east of Georgia for time beyond memory. Planted in the mid 1990s to the region’s Cinnamonic soils, comprised of reddish calcareous sand, the vines must send deep roots through these scant, iron rich soils ripening to an exotic richness all its own. Celebrated for its crisp acidity and citrussy profile the grape takes nicely to qvevri fermentation where skins, pulp and pips all coferment for 3 to 4 months yielding a lively wine with aromas of dried fruit, ripe citrus, and a mouthwatering tang that finishes with a spice and salinity all its own. Rich and flavorsome, this rare white still maintains a vibrant structure and an appetizing savor unique to these age old methods of fermentation on its skins in these local terracotta amphorae. At last! A stable orange wine both balanced and sound, velvety and full bodied, delicious and engaging. At the table this can do many things other whites cannot but traditionally pairs with both fish and roasts. Widely held to be the grape variety first planted by Noah after the flood, Rkatsiteli is arguably the oldest grape variety in all of Georgia. During archaeological digs have even found Rkatsiteli seeds at the bottom of clay vessels dated to 3,000 BC. To this day, those in Georgia ferment their white grapes on their skins in clay qvevi and the high acid and deeply ripened flavors of Rkatsiteli complement this method nicely. Organically farmed in a gravelly pocket of the Kakheti region in eastern Georgia, this comes in at harvest both ripe and energetic. 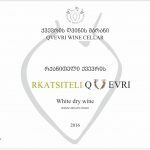 An elegant “orange” wine that combines dynamic texture and rich savor like no other, Rkatsiteli Qvevri is made using the traditional, local method in which large clay amphorae, buried up their heads are filled with the Rkatsiteli grapes. Here they ferment by ambient yeasts, are punched downs 24 times a day initially, see complete malolactic fermentation, and are then aged for 4 to 5 months on their skins. Without Ivan Nareklishvili’s attentive eye, this could fall victim to so many faults commonly found across the vinelands of Georgia but these are kept true to the variety and the method. The result is a beguiling wine white in color and for its floral notes and quince fruit but clearly an “orange” wine for its fragrance and flavors unique to a wine with extended skin contact: honeycomb, wildflowers, prairie grass, dried apricots and roasted walnuts all combine into a savory, dry wine. For these, this Rkatsiteli is unique in its abilities to stand up to richer roasts -both flavorsome cuts and nutty squash. An easy match for autumnal and winter fare, this is also a surprising delight with cold zaru soba, pot stickers, and the herbal lamb of Greece. 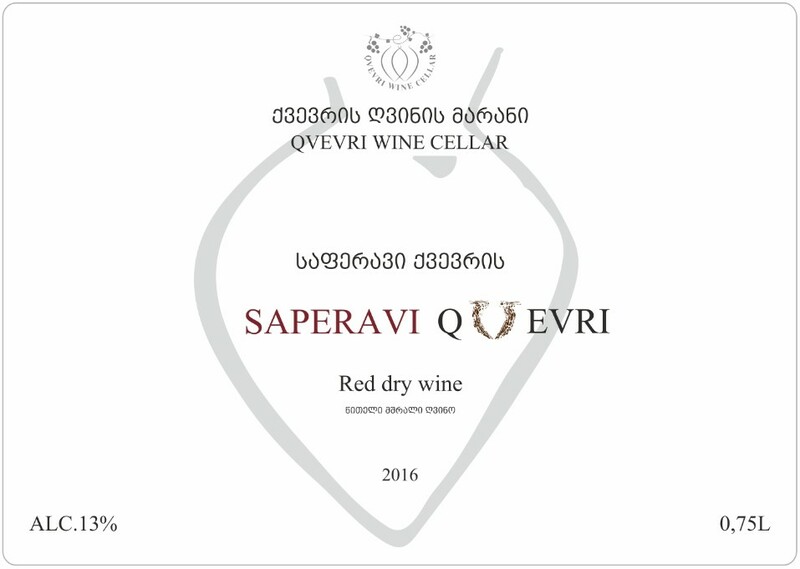 A deep and engaging red unique to the Kakheti region that press against the Caucasus Mountains of eastern Georgia, Saperavi Qvevri is true to the qvevri fermentation traditional in Georgia and also true to this unique variety: Saperavi which expresses fruits of the forest, a bit of the forest floor itself, along with a riper blackberry and cherry fruit profile. From prolonged skin contact this has a tang and texture similar to plum skins and a savory finish unique to this deeply colored variety. It should come as no surprise when admiring its dark pomegranate color that the apt name “Saperavi” comes from the Georgian word for “dye”. 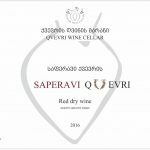 Thanks to its acidity and its sapid character, Saperavi Qvevri is a great match for fattier fish, roasts, and savory sauces that incorporate the zip of vinegar.